The basic 14-inch Inspiron 1420 is a reasonable choice for budget buyers who want something a little smaller than the standard 15-inch chassis, but this laptop has missed out on recent updates other Inspiron models have received. Performance was excellent. Our test unit's nine-cell battery lasted nearly 5 hours. Equipped with a 2.2-GHz Core Duo T7500 processor and 2GB of RAM, the 1420 rose to the top of its class with a WorldBench 6 Beta 2 score of 83. That score put it in a tie for first place, among currently tested all-purpose notebooks, with a similarly equipped Gateway E-475M. (Two other similarly equipped laptops earned a WorldBench 6 Beta 2 mark of 80.) Our test unit was a decent 3D game player, with an average frames-per-second rate of 42 (30 fps is considered minimally acceptable, and some notebooks manage 100 fps). Overall this notebook has much to like. It's fast, capable, and as colorful as you care to make it. Viva la choice! The Dell Inspiron 1420 is the latest 14.1" consumer notebook designed to offer performance, durability and a touch of style for an affordable price. With Intel Core 2 Duo (Santa Rosa) processors, available Blu-ray disc drive, available nVidia dedicated graphics, a reasonably tough build, and eight available colors, is the affordable 1420 the best 14.1" notebook available? Let's take a closer look. The Dell Inspiron 1420 is a solid notebook with an impressive set of features at a value price. As students are getting ready to return to class this notebook will certainly be a strong candidate for a school notebook. 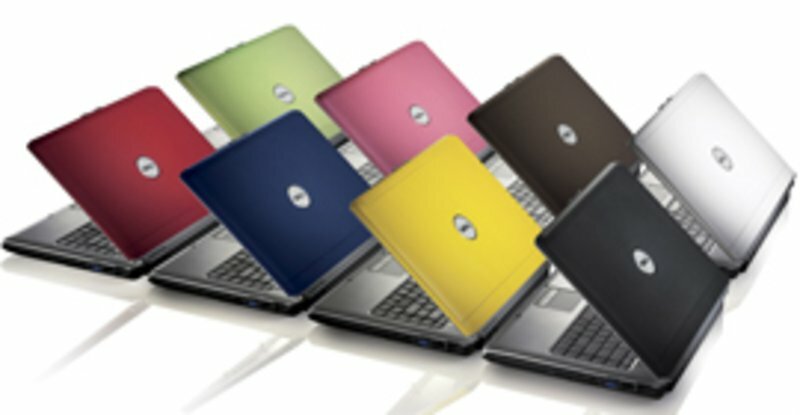 The choice of eight available colors is a nice addition, though we aren't quite sure how Dell's paint job will hold up to abuse. While the entry-level version of the 1420 with integrated Intel graphics lacks the power for serious gaming, the dedicated nVidia graphics card makes for a capable value gaming machine and mobile multimedia center. Of course, once you add all of the available options to make the 1420 a real powerhouse the cost begins to eat away at the "value" benefit of this notebook. The Inspiron 1420 is an excellent all-around platform for the home user all the way through to what I would call the mobile power user. It offers a huge variety of options that allow you to customize the system to suit your needs. Aside from being a bit on the hefty side with the optional 9-cell battery, there is very little not to like about the 1420. With a fast Core 2 Duo processor and a discrete graphics card courtesy of nVidia, it even has the ability to do occasional gaming, which is a very valuable talent to me and I’m sure it is so for many other professionals out there, young and old alike. Hopefully this review has given you a good idea of what to expect and what not to expect when you receive your Inspiron 1420 from Dell. I have learned a great deal about my system in writing it and I hope you’ve learned more about yours as well. The good: Newly redesigned Inspiron line adds Centrino Duo CPUs and color choices; highly configurable with plenty of networking options; discrete graphics option; excellent battery life. The bad: Not as radically reengineered as Dell's new XPS laptop; low starting price, but everything from the Webcam to Bluetooth costs extra. The bottom line: Dell's retooled Inspiron line introduces the new 14-inch Inspiron 1420 laptop, which benefits from an internal and external makeover. The wide-ranging configuration options mean that virtually any mainstream user can find a system to fit their budget. The Dell Inspiron 1420 is destined to populate the homes of school-bound teens, sophisticated and unsophisticated computer users, and just about anybody who is looking for a terrific deal. The laptop's look has changed (for the better), and just because it's priced at $1,099 (direct) doesn't mean you'll get shafted with cheap processing parts. It's one of the few laptops, if not the only one, that gives you discrete graphics, a surplus of memory, different-color frames, and a host of other features that usually cost extra. For this, Dell can easily add another Editors' Choice notch to its belt. Just make sure you punch in the E-Value code (1-DNDMJA1) to get this awesome deal. 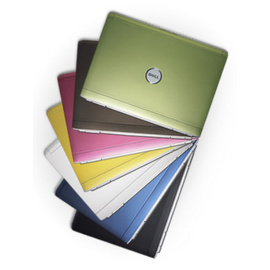 With the 1420, Dell joins the growing trend of offering chassis color options. Frankly, the Arctic silver design that has graced Dell's Inspiron frames for over two years has seen better days.